"Thursday, Sept. 1, 2016 – In partnership with the American Heart Association’s Guilford Heart Ball, Bank of Oak Ridge (OTCPink: BKOR) is proud to announce that nominations are now being accepted for the Healthy Heart Challenge. As part of the Healthy Heart Challenge, Bank of Oak Ridge is now accepting nominations for Guilford County men and women who have overcome great challenges to get healthier and inspire people around them get healthier, who have made great strides to improve their health and reduce their personal risk factors, and those who have made heart healthy changes and have managed to maintain that change for the long-term. To nominate yourself or someone in your life who should be recognized and rewarded for their heart-healthy efforts, visit www.BankofOakRidge.com/HealthyHeartChallenge or complete a nomination form at any Bank of Oak Ridge location. One winner will be chosen by committee for each of the three categories – Defying the Odds, Striving for the Summit, and In It for the Distance. 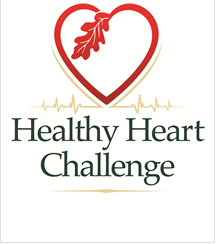 All nominees will be celebrated and the three winners will be announced at theHealthy Heart Challenge celebration on November 2, 2016 at Bank of Oak Ridge’s Corporate Center. Winners will receive grand prizes and become the “Faces of Heart Health” in Guilford County for 2017. In Guilford County, diseases of the heart is the No. 2 cause of death and cerebrovascular disease is the fourth leading cause of death. According to the 2016 Guilford County Data Book, we lost 2,622 residents to disease of the heart and 487 residents to cerebrovascular disease between 2010 and 2014. Nationally, heart disease is the No. 1 killer of both men and women in the United States, accounting for nearly one third of all deaths in the nation. Stroke is the 5th leading cause of death and a leading cause of permanent disability. The good news – heart disease and stroke are up to 80% preventable. For lifestyle change recommendations, heart disease and stroke prevention information, and ways to reduce your personal risk of heart disease and stroke, visit www.heart.org. Bank of Oak Ridge (OTCPink: BKOR) is an employee-owned community bank with a mission to provide Banking as It Should Be® by delivering personal attention and convenience for every client. Bank of Oak Ridge has been named Best Bank in the Triad five years in a row, as well as one of the Triad’s Healthiest Employers and Top Workplaces. We offer a complete range of banking services for individuals and businesses. Bank of Oak Ridge is a Member of the FDIC and Equal Housing Lender. Visit Us | To learn more, visit us during our extended weekday and Saturday hours at one of our convenient locations in Greensboro, Summerfield and Oak Ridge, North Carolina, or call 336-644-9944,or online at www.BankofOakRidge.com. The American Heart Association is devoted to saving people from heart disease and stroke – the two leading causes of death in the world. We team with millions of volunteers to fund innovative research, fight for stronger public health policies, and provide lifesaving tools and information to prevent and treat these diseases. The Dallas-based association is the nation’s oldest and largest voluntary organization dedicated to fighting heart disease and stroke. To learn more or to get involved, call 1-800-AHA-USA1, visitheart.org or call any of our offices around the country. Follow us on Facebook and Twitter."